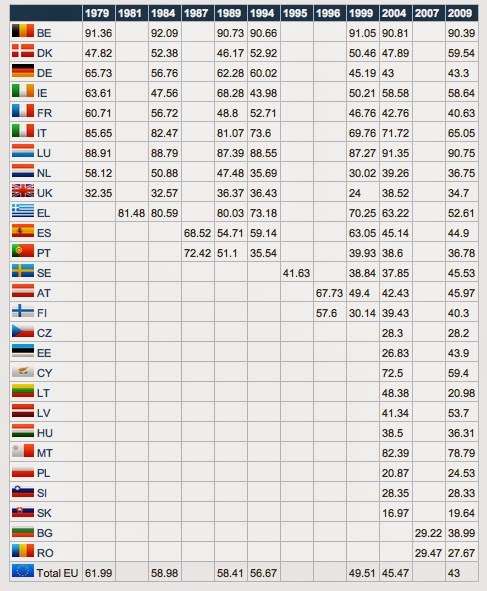 #USofEUROPE: Europe goes to the polls. But once we have made Europe, we need to make Europeans. Europe goes to the polls. But once we have made Europe, we need to make Europeans. When a few months ago, walking through the Paseo de la Castellana in Madrid, I saw a big poster in the nearby of the Permanent Representation of the European Commission, where it was written on: "European Year of Citizens 2013", I asked myself: did anybody notice it? Of course, almost none did. Even a watchful eye like me, who quite often pays attention to this kind of issues, did not notice the existence of such an initiative entirely dedicated by Europe to its citizens. On the contrary, the only thing we would probably be able to remember is how many taxes and quirky laws come from Brussels, while the European Year of Citizens is completely ignored by most of the people. And why is that? The reason is simple: nobody ever thought about creating a European citizenship identity since Europe has been projected. But there's something else. If the word Europe is only able to bring to one's mind words like bureaucracy in a century in which people needs rules to be simplified, it is clear that there are some communications problem on the ground. If Europe can only remind you of an incomprehensible "eurocracy", in times when people demands more transparency, there is obviously something missing. One more example. 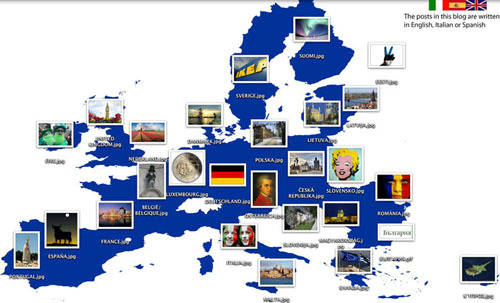 Does anybody know that on May 9th each year, at least since 1964, we celebrate Europe Day? I bet almost none does. From last Thursday, all 28 EU countries were called upon to elect a new European Parliament, a House of Representatives from across the continent, which will have the task of electing the new Commission and approve the EU budget for the next five years. However, if we ask people on the street who were EU Commission Presidency candidates, I doubt that any of them knows the answer. Few people really know that Europe impacts on national legislation is very high. Some figures suggest that about 70% of the rules passed by our national parliaments are European laws translated into local legislation. With such a scenario, with a growing presence of European issues in our daily lives, it is no longer possible to minimize EU polls to second level elections, thus fomenting the turnout. We cannot let those who constantly highlight how bad is Europe win these elections, while those that should tell us how beautiful is Schuman, Spinelli, Adenauer & Monnet's intuition remain silent, by focusing on minor issues. We need to start again from how we educate new generations. Telling the younger what Europe is, and especially what was our continent before the EU was set up. I think this is the simplest thing to do if you want to avoid the collapse of one of the most interesting political projects in the history of our continent.